I hope you are having fun hopping along the blog hop..
Christmas is going to be here before we know it !! Here is my card for the hop....a simple CAS Christmas card coloured with water colour paints and using Maja designs paper!! Hope you all had a great long weekend!! added some glitter glues for the ribbon and bells!! 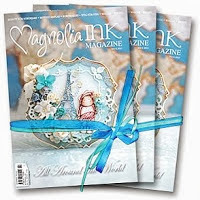 The flower die is from Tattered lace and the tree is a Magnolia doohickey..
papers are from Maja designs..!! I'm never prepared at Christmas time lol!! Prima flowers, peach ribbons, some papers and a pretty mint Trim..!! 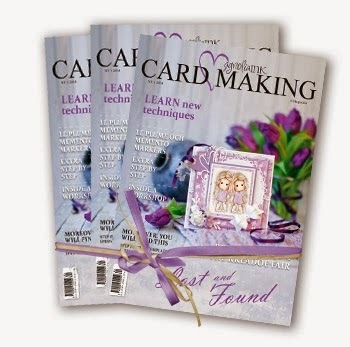 and the Heart doily border is a die from La la land crafts!! 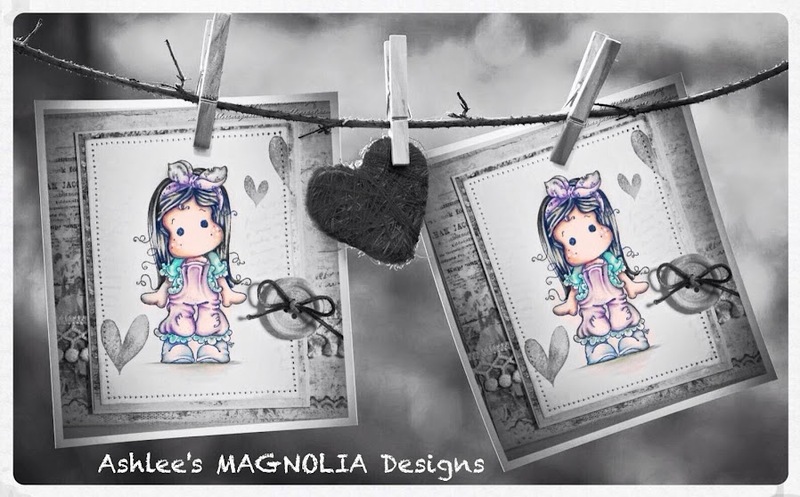 This Sweet sentiment id by C.C designs.. "Have a sweet day".. I added some clear Wink of Stella for some sparkles, Glossy accents to her shades and some opaque white paint for detail!! All my edges were inked using an ink edger by Prima in the colour of Attic dust.. I had fun putting this card together to share with you!! so this year I think I may be a little more prepared!! Here is my new card with a cutttteee new stamp from the Christmas stamp club kit!! The tree and the rocking horse..aren't they adorable!! The cute oval frame is a die cut by Crafty ann !! I finished off a card this weekend using a cute new stamp from the latest Christmas stamp club kit (not sure of her name yet)..
the hearts are also from the stamp club kit.!! I Coloured Tilda using my Copic markers.. and added some detail using opaque white paint and wink of stella pens!! Designer papers are all Maja designs!! Recipe @ Magnolia down under..!! Its time for a new challenge at Magnolia down under for this fortnight and this time its a recipe - yellow, pink, lace and pearls!! I used one of the new stamps from the latest Christmas theme stamp-club kit.. I'm not sure what she is called yet but she is super duper cute!! The paper flowers are made using an awesome new die that was included in the Christmas doohickey club, I added some stickles to them for some pretty sparkle..!! The designer paper I used is all from Maja designs..
We always have heaps of fun when we get a chance to catch up and have crafty time!! Wish we didn't live a trip over water from each other, would be so nice to be able to craft together more often! I hope to see you again soon..
she is from the latest stamp club kit - pink lemonade collection!! I used my sewing machine to add in some stitching around the coloured image!! I hope you have enjoyed my black and white card!! I've got some exciting news!! 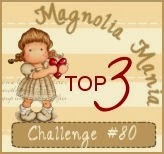 My friend Jenny and I are now both part of the design team for Magnolia down under challenges....YAY!!!! The challenge is "Winter wonderland".. I then added some cute embossed white snowflakes using the "Sweet snowflakes" stamps from the "Sweet Christmas dreams" collection!! Thanks so much for stopping by...I'd love for you to follow me and leave me a little comment, I love to read what you all think!! 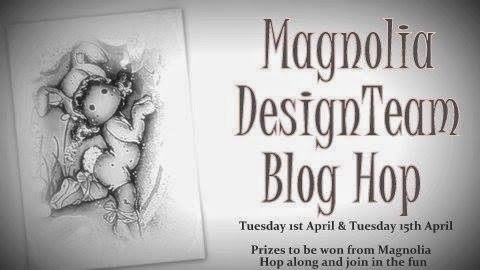 You can pop by the challenge blog here to see what the other DT girls have to share with you and to join in the fun!! 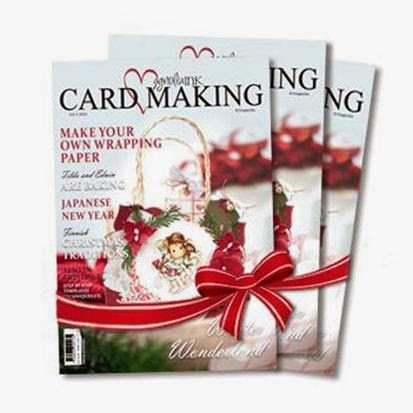 Its time for a "Christmas in July" challenge at the inky chicks challenge blog this fortnight.. 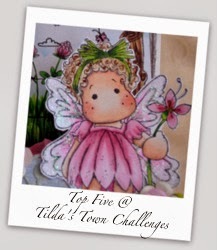 I coloured up Dancing Tilda with stars from Little Christmas collection using distress inks.. !! The designer papers are all from Maja designs, I loveee their paper its so pretty!! 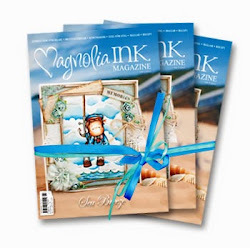 Hope you will come join us in the latest challenge at Inky chicks!! I've been working on this card recently and finally finished it off today.. I used heaps of doohickey dies on this one to make a cute little garden scene featuring Tilda with Elsie the lamb!! Doohickeys I used were : Grass (butterfly dreams), Magnolia tree (butterfly dreams), Cloud & flag (sweet rainbow), Lovely fence (cozy family autumn), Berry lace (cozy family autumn) Lilly of the valley (animals of the year). Hope you like it and Thanks for visiting my blog...!! 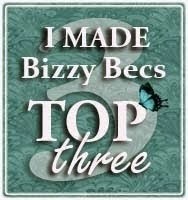 Its new challenge time again at Inky chicks and the theme this fortnight is to "use a resin embellishment"!! I used the no lines technique for this one...and coloured with distress inks!! Mae has a wonderful video on this technique over at her blog...its awesome, a must watch!! The handmade roses were made using the "create a rose" die from spellbinders!! I used pink cardstock and inked the edges with distress ink..
Hope you have enjoyed your visit..pop by again soon!! My latest project is a little boys card with stand.. I used the cute new stamp from Animals of the year collection Edwin with Theo the dragon!! I coloured him up with Distress inks on Langton smooth hot press paper.. They hand dye some of their laces and they are such pretty colours!! The stars and border are from a Tim Holtz on the edge die..I just cut out twice so I could use on as the top border and then the other to cut off the stars separately!! Id love for you to become one of my followers if you enjoyed your visit! !